D.J. 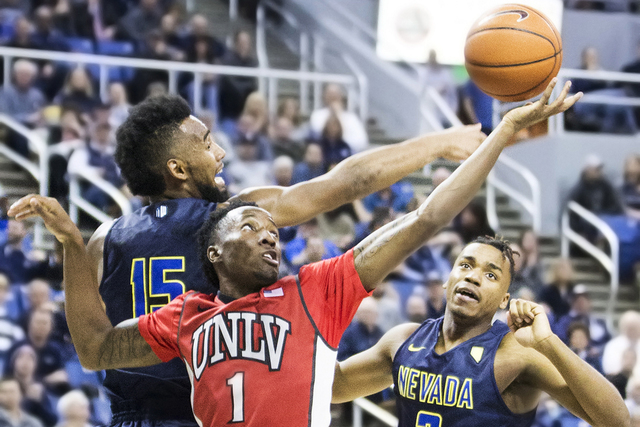 Fenner scored 37 points and Cameron Oliver 25 to lead UNR to a 104-77 victory over UNLV on Wednesday at Lawlor Events Center. It was the worst defeat in this series for the Rebels. 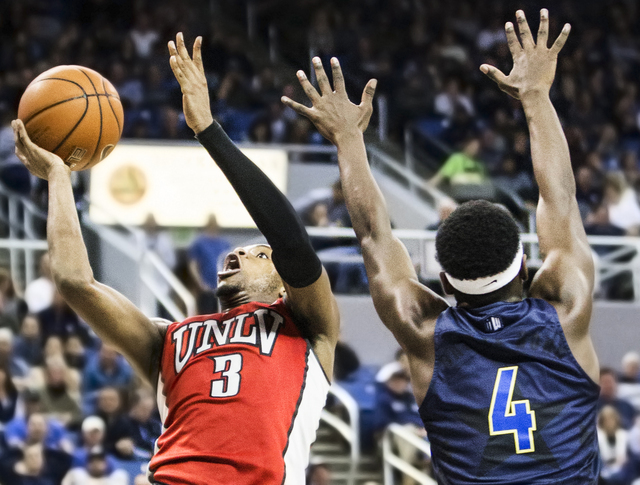 RENO — There was a sense from the beginning that just beating UNLV wasn’t good enough for UNR. 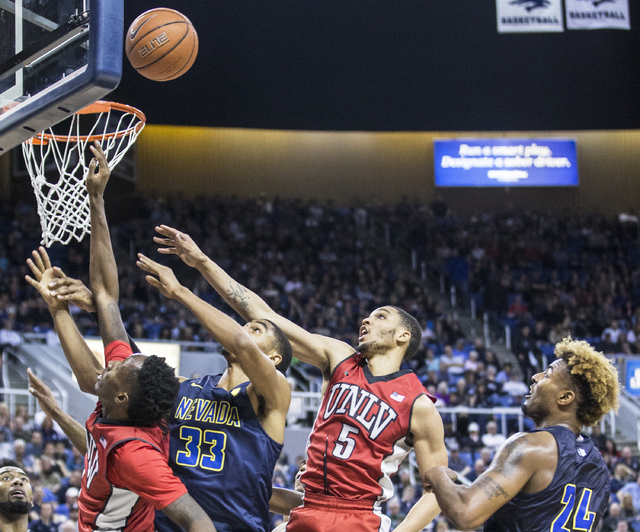 The Wolf Pack wanted to bury the Rebels. 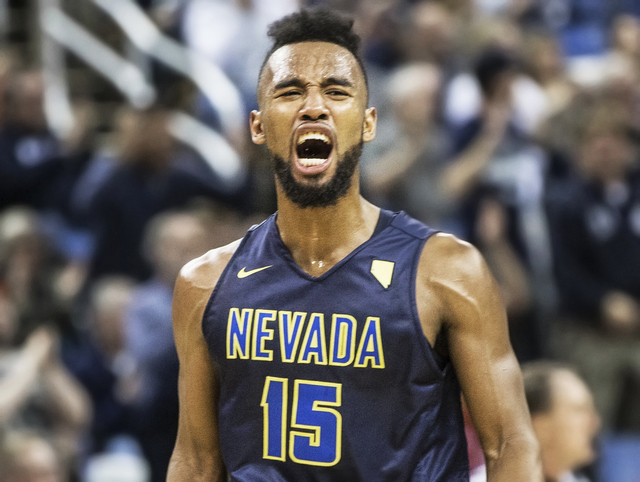 And then they did what they set out to do, clobbering the Rebels 104-77 on Wednesday night before an announced record Lawlor Events Center crowd of 11,841. 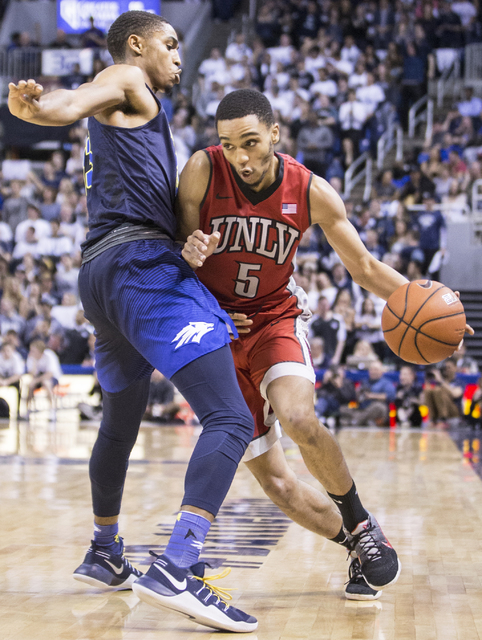 It was the largest margin of victory for UNR in the series, surpassing its 71-51 win in 1962. 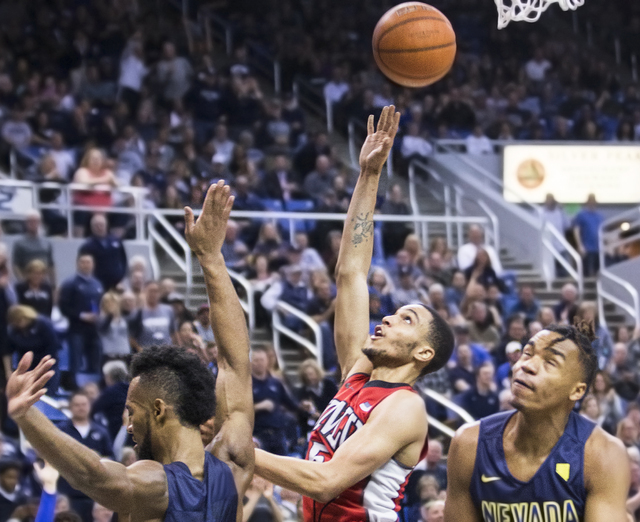 UNR (19-5, 8-3 Mountain West) scored 58 points by halftime to take a 19-point lead, then cruised in the final 20 minutes to hand the Rebels (10-15, 3-9 their fifth consecutive defeat. D.J. 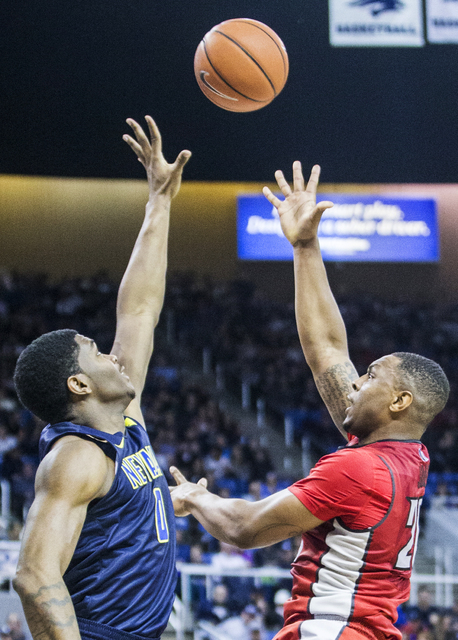 Fenner scored 24 points in the first half for the Wolf Pack and finished with 37. 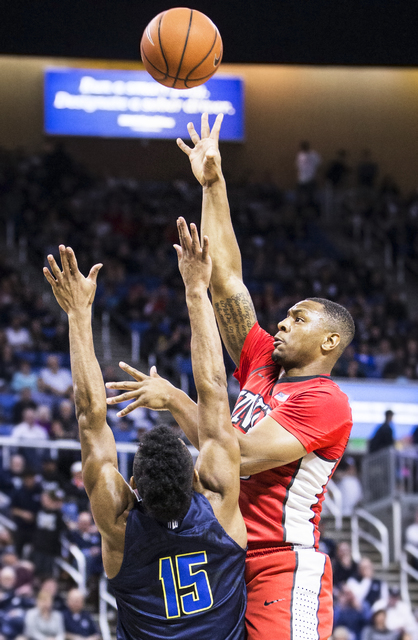 Cameron Oliver added 25 points and nine rebounds for UNR, which shot 52.8 percent. 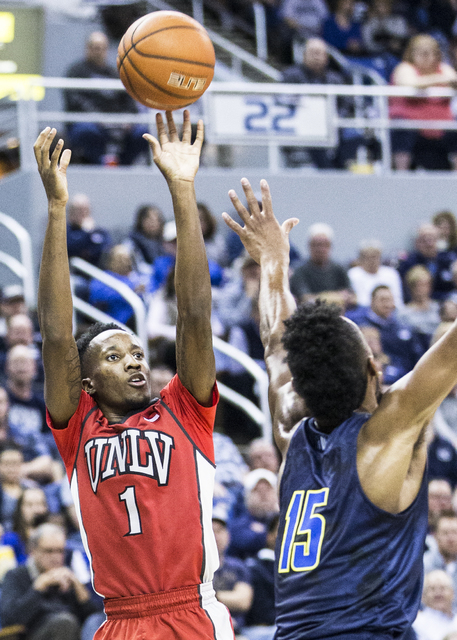 Jovan Mooring led UNLV with 20 points, Kris Clyburn scored 14 and Tyrell Green 13. 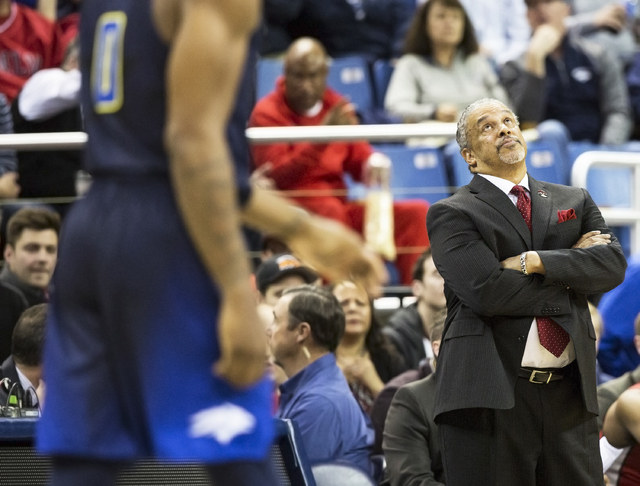 All of this played out in front of UNR assistant Dave Rice, who until 13 months ago was UNLV’s coach before being fired in midseason. 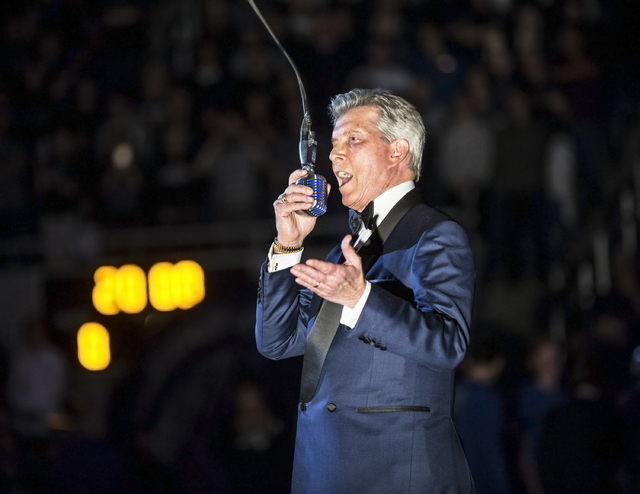 UNR made it an event from the beginning, paying boxing announcer Michael Buffer $10,000 plus expenses to introduce the starting lineups, and they broke out “Battle Born” uniforms for the game. The Wolf Pack knew this was their moment, and they made the most of it.